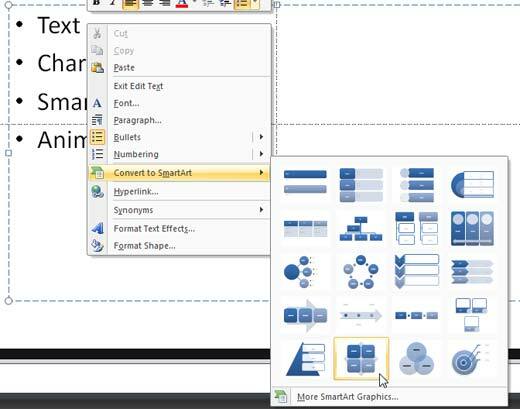 Excerpt/Capsule: Learn how to convert a bulleted text to SmartArt graphics in PowerPoint 2007. 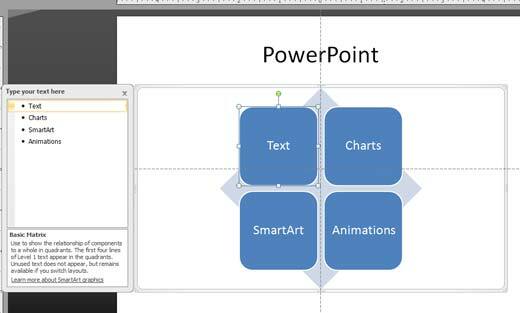 In a previous tutorial, we showed you how you can insert SmartArt in PowerPoint 2007. However that works only when you are creating a new slides. Many times you may already have your slides that contain bulleted text. This tutorial shows how you can convert such bulleted text to a SmartArt graphic in a jiffy within PowerPoint 2007. 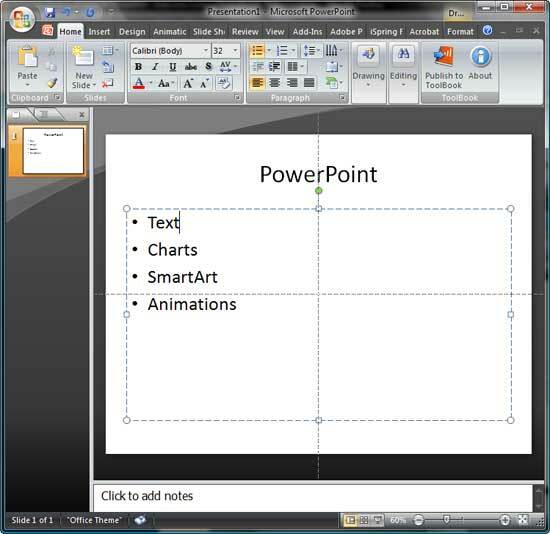 Select some bulleted text in a slide within PowerPoint 2007, as shown in Figure 1. With the bulleted text selected, carefully right-click to summon the context menu shown in Figure 2. From the menu choose the Convert to SmartArt options. This opens the SmartArt gallery (refer to Figure 2 above). Choose from any of the SmartArt graphic variants within this gallery. Alternatively, to get more SmartArt graphics choose the More Smart Art Graphics option located at the bottom of the SmartArt gallery (refer to Figure 2 above). 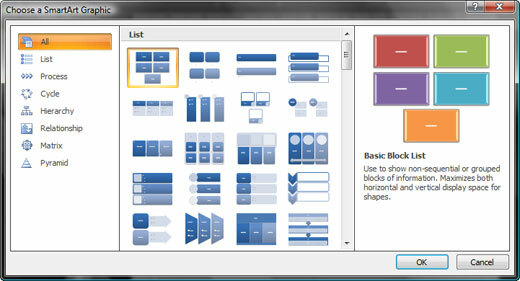 This brings up the Choose a SmartArt Graphic dialog box that you can see in Figure 3. Figure 4 shows the same bulleted text (refer to Figure 1 above) is converted to a matrix SmartArt graphic. Note that the text pane also shows in Figure 4 above. To add or edit text within the SmartArt graphic, make changes within the text pane.